Lexi Martins lead the Mountain Hawks in a victory over the Greyhounds in a conference showdown. The Lehigh Mountain Hawks needed a big win at home to keep the pace in the Patriot League, and they delivered. Playing in front of the home crowd at Stabler Arena in Bethlehem, PA, Lehigh defeated conference foe Loyola (MD) to move to 9-5 on the season. 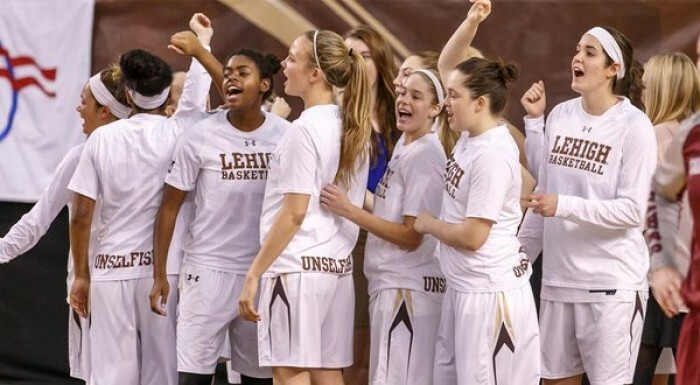 Lehigh was lead by junior Lexi Martins, who recorded 17 points and 18 rebounds on the night. She was 4 for 5 from behind the free throw line, and made her only three point shot, which came in the second half and all but put away the Greyhounds. Senior Kerry Kinek had 16 points and 10 rebounds, giving the Mountain Hawks two players with a double-double on the night. Other players contributed valuable minutes to Lehigh, as well. Sophmore Quinci Mann notched 10 points and 3 assists, and went 2 for 4 from beyond the three point line. Coming off the bench, senior Elizabeth Sharlow had nine points, and hit seven of nine free throws on the night. The story, however, was Lehigh's defense. After being tied 30-30 early in the third quarter, the defense of the Mountain Hawks took off, allowing only 18 points in the last quarter and a half. Lehigh held Loyola's stop scorer, Colleen Marshall, to 16 points, and forced her to go 0-6 beyond the arc. Marshall was Loyola's only player to score in the double digits. Loyola as a team was 1-11 from three point range, and shot 27% from the floor. Lehigh was also dominant on the boards. They had 13 second chance points, compared to only 2 by Loyola. Lehigh also grabbed 39 total rebounds. Lehigh moves to 2-1 in Patriot League play. Two teams, Bucknell and Holy Cross, currently sit at 3-0 in conference play. Loyola entered the night tied at the top of the Patriot League at 2-0. Their loss gives them their first conference loss of the season. Loyola will drop to 5-9 overall. The powerhouse team in the Patriot League appears to be Army, who is 11-2 on the season, including a 63-39 beat down of Lehigh in West Point; however, they did lose to Bucknell two games ago. The victory is an important one for Lehigh, is who looking to string together some good results in the heart of their conference schedule. After beginning the season 6-0, Lehigh would lose their next four games, all in tough fashion. After a spirited effort against Villanova, Lehigh would lose by one at home to St. Joes. They then went on the road and gave Illinois a scare before another one point loss, this time to Rider. By the time they played Army, the Mountain Hawks seemed depleted. They will have a chance for revenge, as they play Army at home in the second to last game of the season. Lehigh will host American University this Saturday before hitting the road and taking on Bucknell.